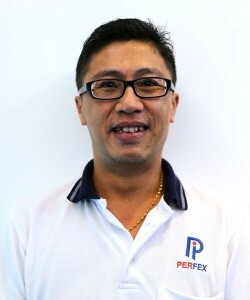 Key Management & Senior Managerial Staff | Perfex International Pte Ltd - Radiators, Charged Air Coolers, Heat Exchangers and Oil Coolers for power generation and other industries. 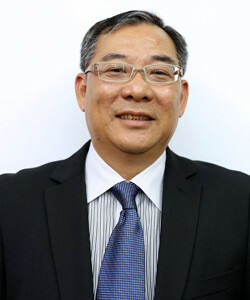 Louis Ang is the Chief Operating Officer of Perfex Group. He ensures the smooth-running of Perfex’s operations and is responsible for the strategy and development of the Group. Prior to joining Perfex Group in May 2016, Louis had 20 years of experience in handling production, design and also application engineering. Dexter is the Assistant General Manager of Perfex International. He oversees the Application Engineering and Design Engineering team in Singapore and Malaysia. 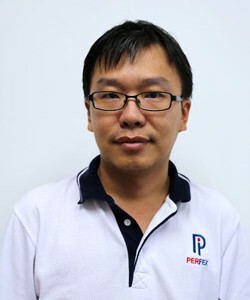 Prior to joining Perfex Group, Dexter was an Engineering Manager in Libra 2002 Pte Ltd. He has 10 years of experience in heat transfer product design and application. Dexter graduated from the National University of Singapore and holds a bachelor degree in Mechanical Engineering. 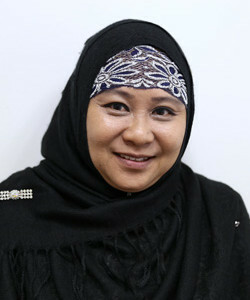 Linda is the Customer Service Executive of Perfex International and is also a founding member of Perfex Group since it was set up in 2006. Linda is responsible for addressing the customers’ needs and issues that they may face, as well as to guarantee on-time delivery. She ensures customer satisfaction right from the receiving of orders up till after-sales. Linda has over 17 years of experience in Customer Service. Patrick is the Production Manager of Perfex Heat Transfer. He is overall in-charge of the production operation of the Perfex plant in Malaysia. Prior to joining Perfex Group in 2016, Patrick was a Production Manager in Aura Engineering Sdn Bhd located in KL from 2014 to 2016, where he was overall in-charge of production and sales within Malaysia. From 2010 to 2014, he was a Senior Production Manager in MayAir Nanjing China, where he was responsible for the setting up of two plants and commencing production. From 1998 to 2010, he was the Plant Manager in Airguard Asia Sdn Bhd located in Johor, Malaysia, where he was responsible for the setting up of the plant and commencing of production.